The trade sentiment piece of our portfolio strategy looks to evaluate three levels of support (or resistance if not yet bought). These levels of support are determined by evaluating technical and quantitative factors to produce Price, Momentum and Pressure (PMP) standards. These factors are evaluated daily on each individual company or stock. A summary of these evaluations trigger weekly buy and sell trade signals at the end of the trading week. These trades are then executed on the first day trading day of the following week. Before we look into moving price data we establish a stock holding profile. 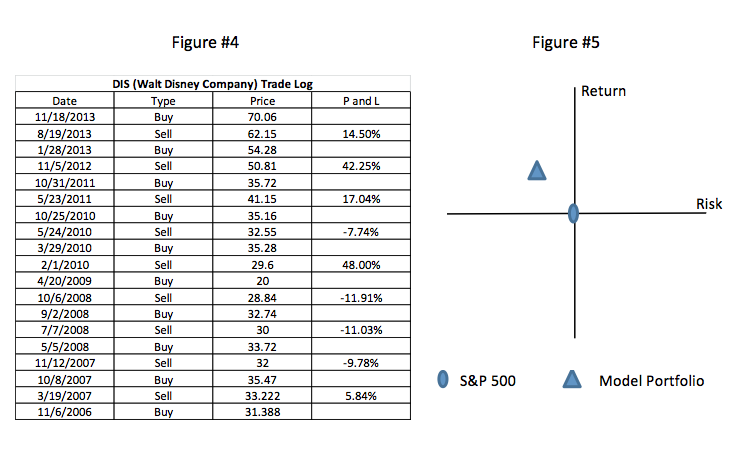 This can be seen by evaluating optimized historical trading data (Figure #1) for that particular stock. This data which includes: minimum days held, maximum days held, trade profile mean, and trade profile standard deviation then projects max held days. Trading volume is also evaluated similarly as we look at past levels and trends to establish benchmarks. Another factor is the cyclically adjusted price-to-to earnings multiple or CAPE. Subsequently, we take that figure and divide it by Moody’s Baa yield to produce a CAPE/M price valuation. All of this data is then cycled into additional technical and quantitative factors to produce three separate PPM data lines. 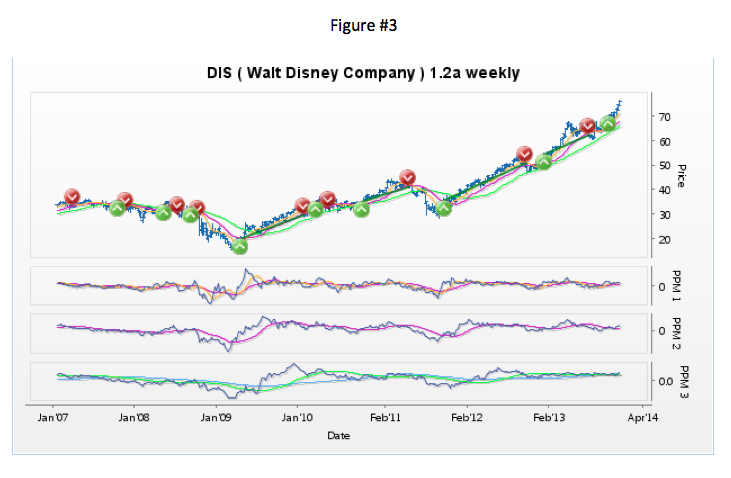 Thus, we evaluate moving price averages on a daily, weekly and monthly basis (Figure #3). When a stock breaks through this support value it becomes a sell. If a stock is not yet bought then resistance values are established as indicated above. Once a stock breaks through this resistance value it becomes a buy. Then support values are established and the cycle begins again (Figure #4). Due to our emphasis on being risk averse the one anomaly that occurs is that the number of “losing” trades is normally outnumbering the number of “winning” trades (Figure #2). Where we have found our success is the fact that a “winning” trade has had considerably higher returns that of a losing trade. Think of a teeter-totter seesaw with risk on one side and return on the other; most models have these two factors balanced. What we do is move the fulcrum point toward the returns side; although it takes greater factors to produce a trade each trade then causes higher returns over less than half the transactions. Most of our portfolios reside in the top left quadrant (higher return / less risk) on the typical Risk Reward benchmark scatter graph (Figure #5).